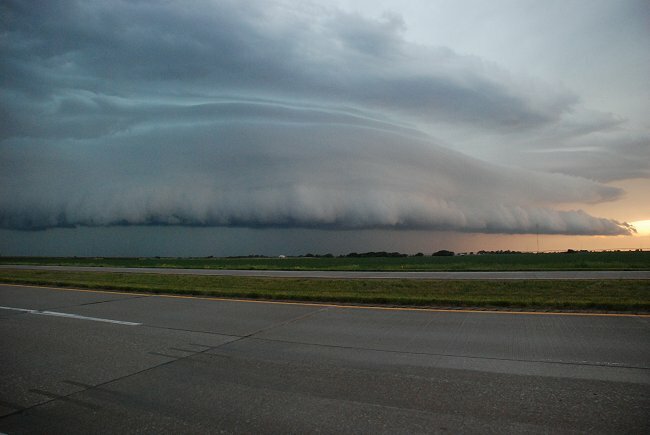 June 1, 2009: A storm moves through Southeast Nebraska. Photo © K. Dewey. 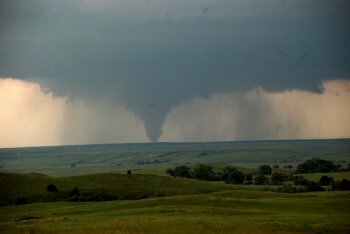 June 5, 2009 tornado near the WY/NE border. (Normal January 1 - June 30 = 14.18 inches). Warmest recorded JUNE temperature, 108 F, June 15, 1946 AND June 26, 1936. Coldest recorded JUNE temperature, 39 F, June 8, 1978. AVERAGE AND TOTAL are JUNE 2009. DEPARTURE is JUNE 2000 Average measured against 1971-2000 normals.